Information organized below as follows: 1. Community and Home Support Services, 2. Elder Abuse, 3. Emergency Services, 4. Financial and Income Security Programs, 5. General Information, 6. Housing (see also Home4Good’s Housing Page) 7. Legal, 8. Meals, 9. Transportation (see also Home4Good’s Transportation pages) and 10. Veterans. You may also contact Home4Good’s Info Hub, available on the first Monday of the month from 1.00 to 3.00pm in the Bayfield Public Library. If you can’t get there in person you can phone the library at 519 565 2886 and ask for one of our volunteers to call you. Southwest LHIN – a broad range of clinical supports and in-home services (nursing, dietary, physiotherapy, healthy living supports/free workshops and other therapy services). Canadian Anti Fraud Centre for reporting frauds and attempted frauds. 1 (888) 495 8501. Ontario Provincial 24 Hour Police Service 1 888 310 1122 for non-emergency criminal activities, theft and abuse. Phone 211 and ask a question about anything: lunch groups, social services – if they can’t help they will find help. Service Canada – 1-800-277-9914 for pensions, passports, social insurance. Service Ontario (in Clinton 519-482-9138 or Goderich 1-800-267-8097 ) to renew drivers’ licenses, license plates, birth and death certificates, health cards etc. Southwest Health Line – an online resource for finding health and social services. Visit Home4Good’s housing page for information about Home4Good’s Housing initiatives, about Homesharing or Tiny Houses. Diners’ Club on Thursdays at the Bayfield Arena. Book your $9.00 lunch by calling Leslie Bald at 519 565 5637. Home4Good shopping buddies will take seniors shopping (or pick up shopping for them) at least once a month but not more than once a week. They are screened volunteers, and will probably be doing their own errands as they help others. Return completed volunteer applications or applications to get a shopping buddy to help you (or a neighbour), to Leslie Bella. Inquiries to Leslie Bella at 519 955 1531. 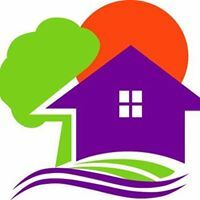 Visit information on Home4Good’s transportation pages, which describe ways to survive in Bayfield if you are no longer driving.